Research at the University of Southern Denmark has revealed that a new combination of clinically tested drugs inhibits the growth of tumours, thereby potentially improving patients' survival. 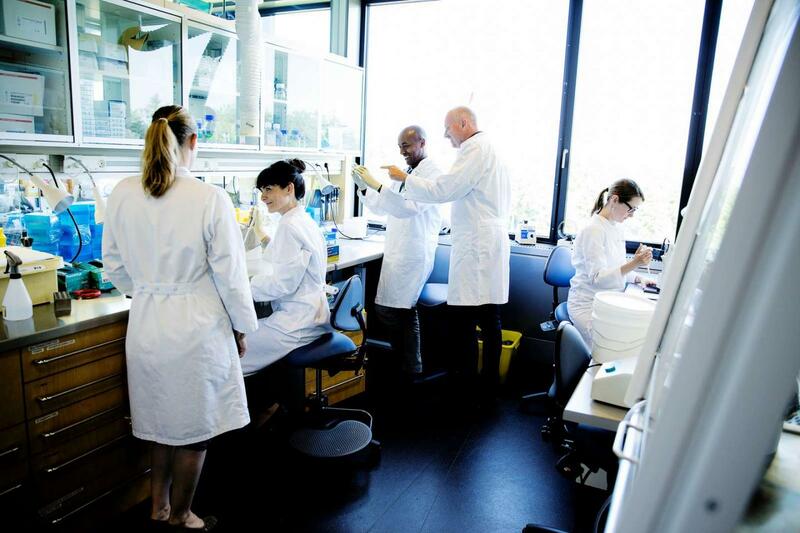 Scientists at the University of Southern Denmark have found a new strategy for overcoming the resistance, which many lung cancer patients develop towards a recent drug, which can arrest the growth of tumours. An EGFR tyrosine kinase inhibitor is a targeted drug that is used to block a special signal pathway (EGFR) in the cancer cells, thereby arresting tumour growth. However, often the positive effect does not last. After about a year, the lung cancer cells have found other ways to multiply, so many patients become resistant to the treatment. "We investigated how the cancer cells evade the treatment. They do this in at least 10 different ways, and there is no denying that it complicates the challenge of finding a subsequent treatment that, in the longer term, can stop tumour growth and improve survival of lung cancer patients," says Professor and Consultant Henrik Ditzel from the Department of Molecular Medicine at the University of Southern Denmark and the Department of Oncology at Odense University Hospital. His research group can now prove that there is a common mechansim for the cells that develop resistance. The cells upgrade a different signal pathway (AKT), resulting in elevated AKT activity in cell samples from lung cancer patients, who no longer respond to treatment with tyrosine kinase inhibitors. So scientists (in cell cultures and in mice) tested a combination treatment using an EGFR tyrosine kinase inhibitor and an AKT inhibitor, and the tests showed that the tumour growth was arrested. According to Henrik Ditzel, it may not be very long before the results, which has just been published in the highly regarded journal, Nature Communications with PhD student Kirstine Jacobsen as first author, can change management of lung cancer patients. "An approved drug already exists to inhibit AKT activities. So we are aiming very soon at embarking on a clinical study, in which lung cancer patients, whose malignant tumour has increased AKT, will be given a combination treatment using the two known drugs at the same time. In the longer term, we hope that this will prolong the lives of lung cancer patients, if we can combine several treatments – in other words, turning them into a single treatment – instead of administering different treatments in succession," says Henrik Ditzel. Lung cancer is the leading cause of cancer mortality in the world. The study looks at non-small cell lung cancer, which accounts for virtually 80% of all cases of lung cancer. The study was conducted in collaboration with scientists and doctors from Barcelona and San Francisco.